Japari is steadily steering ahead in the IT department. We strongly believe that the way forward is by integrating technology and learning. Our software and hardware is constantly being upgraded and assessed. Our computer lab currently hosts sixteen computers. We have full internet access and classes are able to access the school network and internet. All learners at Japari attend computer classes once a week. The Grade R-2 have half hour lessons while the Grade 3-7 have an hour allocated to computers. 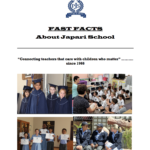 The core teaching programme at Japari is Knowledge Network. The Grade 6 and 7 learners write an external Computer exam at the end of the year and are credited with a Knowledge Network certificate, if successful. In addition to the core programme, we also use Mathletics, Wordsharks, Sherston and Compu-Math to support and extend our learners. Our classrooms are equipped with projectors and computers facilitating interactive learning. Teachers are being trained on the i Pad with future plans to include the use of iPads in the classroom, to aid constructive learning. Supportive devices such as dictaphones are being used to assist learners during tests.